Now a days most of the people are using internet and doing a lot of work through it. 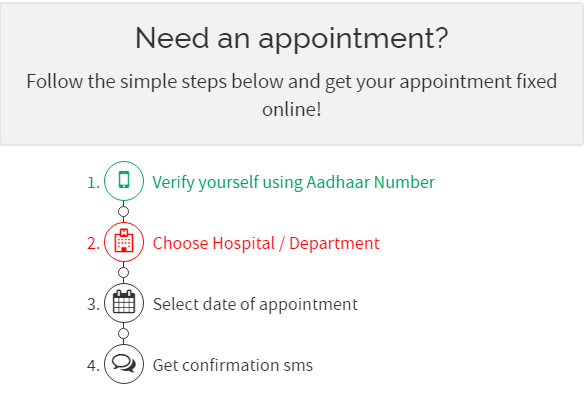 Indian Government has started the service to book online appointment for various Government hospitals using very easy process. 1. 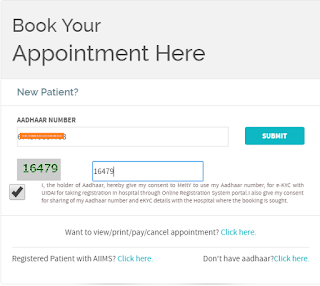 Visit online appointment portal - ORS Patient Portal. 2. Click on Book Appointment Now button. 3. Enter Aadhaar Number, Capcha code, check consent checkbox and click on Submit button to process. If Email or mobile no. 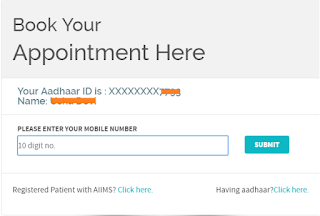 not registered in UIDAI Database then you will get a error message alg with the enter name textbox. Enter your name and click on Proceed button. 4. Now enter your mobile number and click on Submit button. You will get an OTP on your mobile, Enter the same and click on Proceed button. 6. Now select the State, Hospital and Department and click on Proceed button. 7. Select Available Date and click on Proceed button. 8. 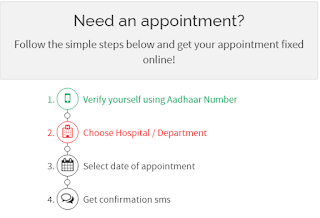 Now your details along with department and UHID will be displayed, Review it and click on Book Appointment button. 9. Now, Print confirmation page will be displayed. You can take the print out. You can also make payment of 10 rupees by clicking on Pay Now button. You can make the payments either through Bank Accounts or Credit Card. 10. After this visit the hospital on appointment date/time, Go to the PRC(patient registration counter) line and provide the appointment printout to get your OPD card. Make sure to be present early as there would be rush at PRC counter. I was in line at 7.30 AM in morning and got the OPD card in around 40 minutes. 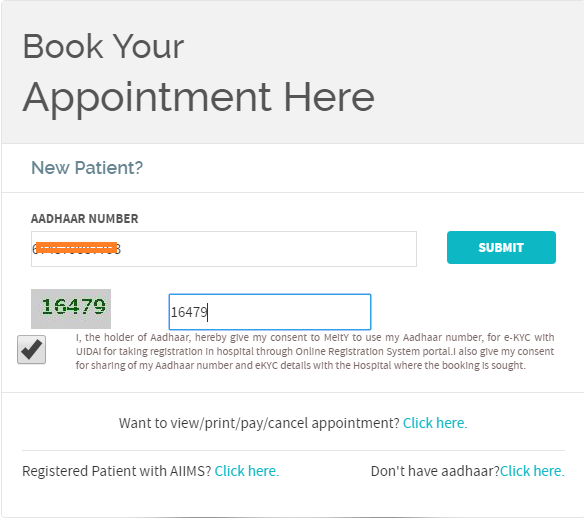 Now, visit the respective department along with your OPD card to meet with the doctor.